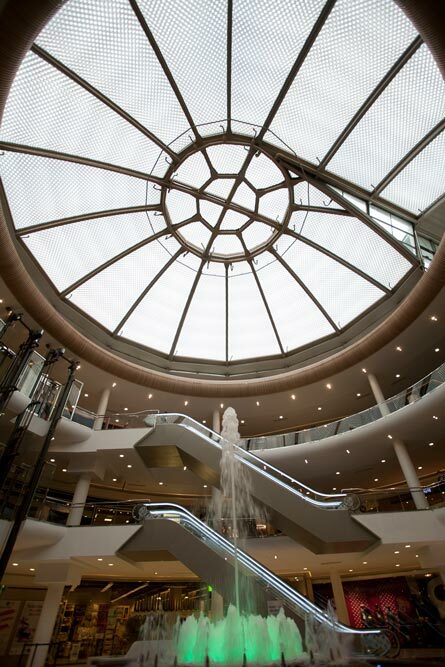 One of the improvements of the C.C. 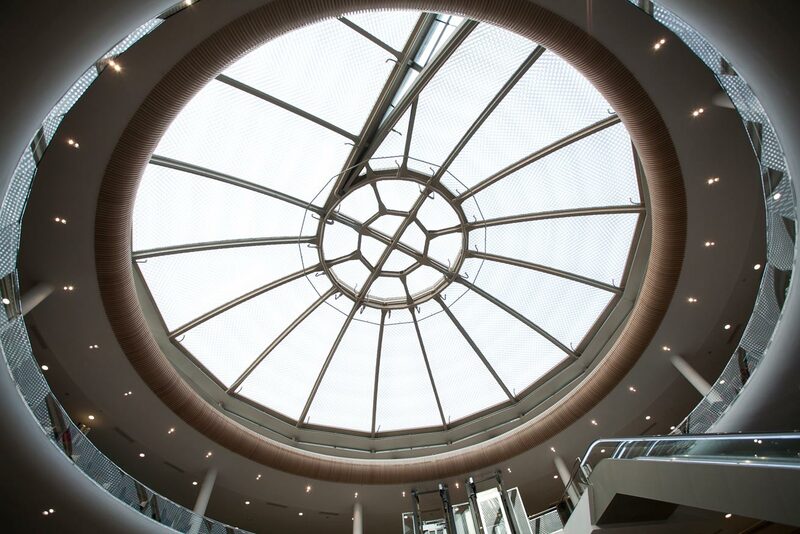 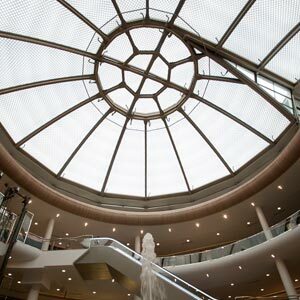 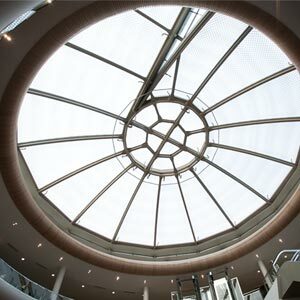 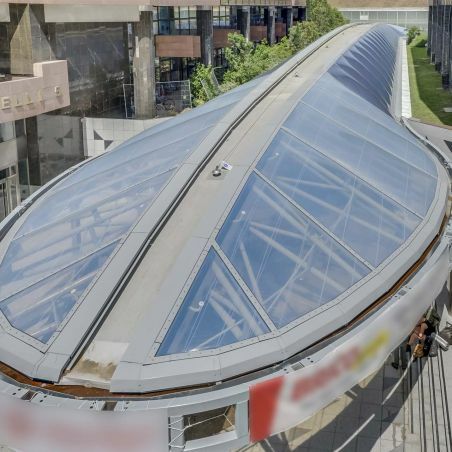 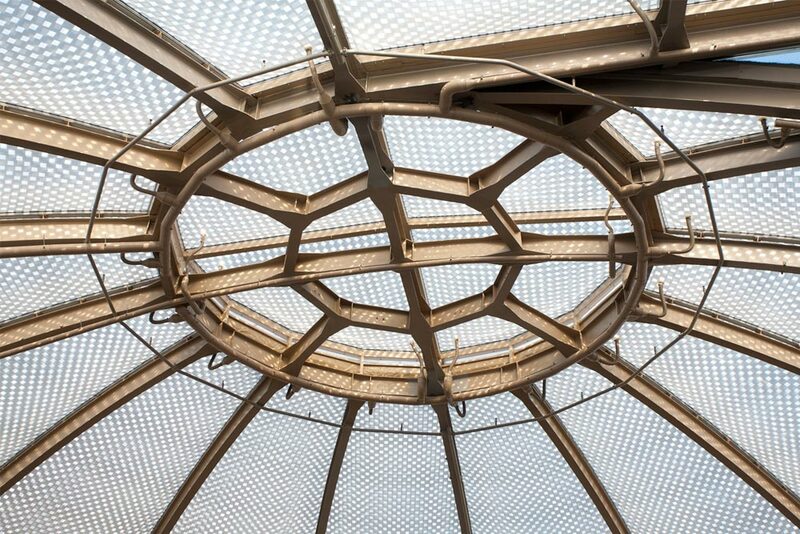 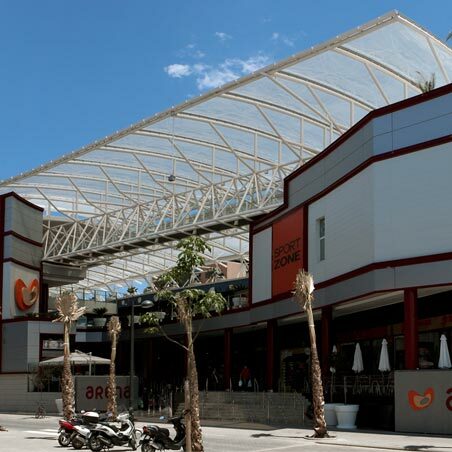 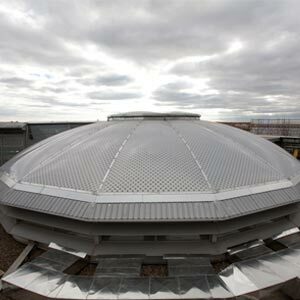 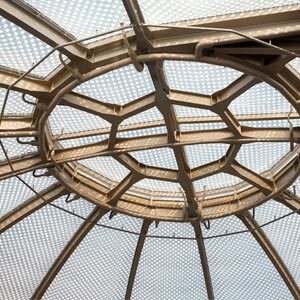 Vallsur was to replace the opaque dome covering with AN ETFE covering with solar control. 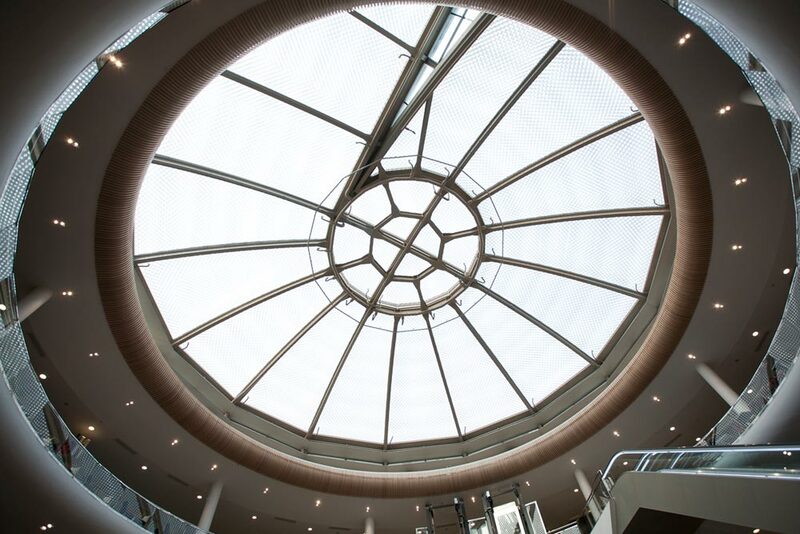 Without a doubt it highlights the functionality of the solar control covering that lets you choose two values of light path inside. 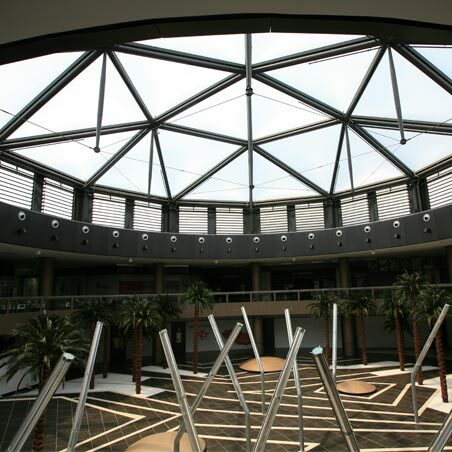 A space that has gained in luminosity and gives life to the activities that are carried out inside. 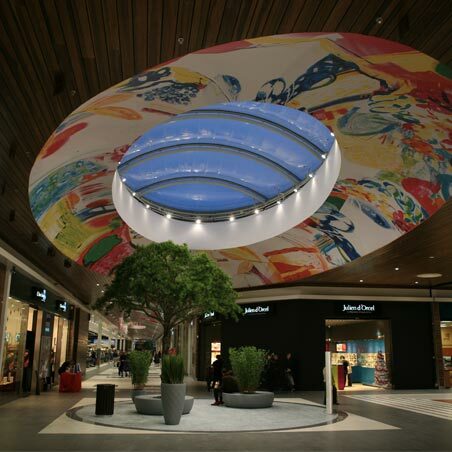 The upper and intermediate sheets are printed with designs that overlap. 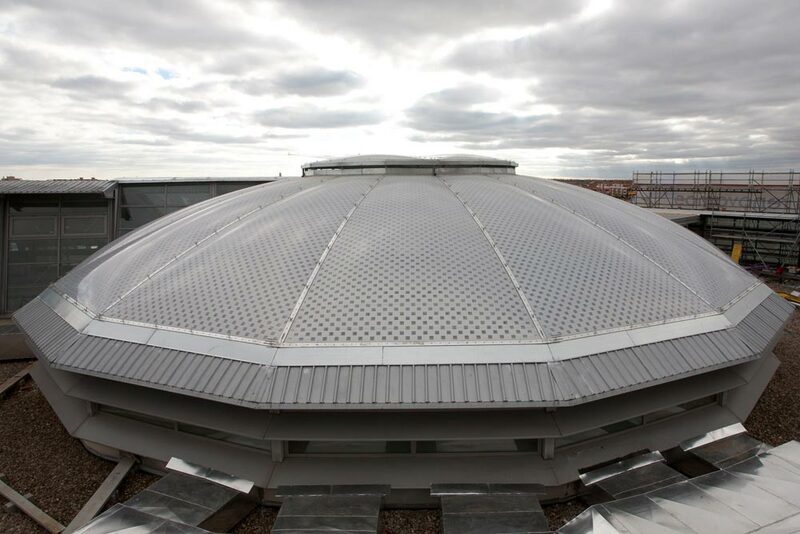 The solar control system moves the intermediate layer up or down, changing the passage of light and solar radiation into the building.